When I am working as a wedding photographer, I make it a priority to capture good images of the wedding details. Those details matter. While every wedding has the obligatory images of the ceremony and reception, the wedding details are what truly make an event unique. They tell the story of the wedding itself. I’d like to share the details from Jessica and Jon’s Scottsdale wedding. Jessica and Jon were married at the Omni Montelucia Paradise Valley Resort in Scottsdale, Arizona. Brides spend so much time and money on the wedding details. Details that are often overlooked. Without capturing these thoughtful, personal touches as a part of their wedding photography, these small touches can be lost and forgotten. Without including these images in the collection, there is no way to fully describe the wedding. With Jessica and Jon’s wedding, there are so many stories in the details. The Montelucia Resort and Spa provided a beautiful backdrop to capture these images. I created these images to tell the story and preserve the details that made Jessica and Jon’s wedding unique. Instead of just taking a picture of the items, I’ve built vignettes to capture the essence of these details. The graceful delicate lines of the chain to Jessica’s cross contrasted beautifully with Jon’s handsome watch. Nestled into Jessica’s bouquet was a tiny cameo with a picture of her father, so he could be there in spirit. Flowers wilt, cakes get cut up and eaten, but the memories are preserved in these images. Photographing a couple’s wedding details can also be an artistic way to show the passage of time during the event. The wax running low on the candles and the bride’s gorgeous shoes sitting abandoned on her chair tell stories. These details capture the emotion of the moment, preserving not just a picture of the details themselves but the feelings they evoke. Some of these details are the work of Michelle Scarzone, owner and event planner of Simply Refined Events. 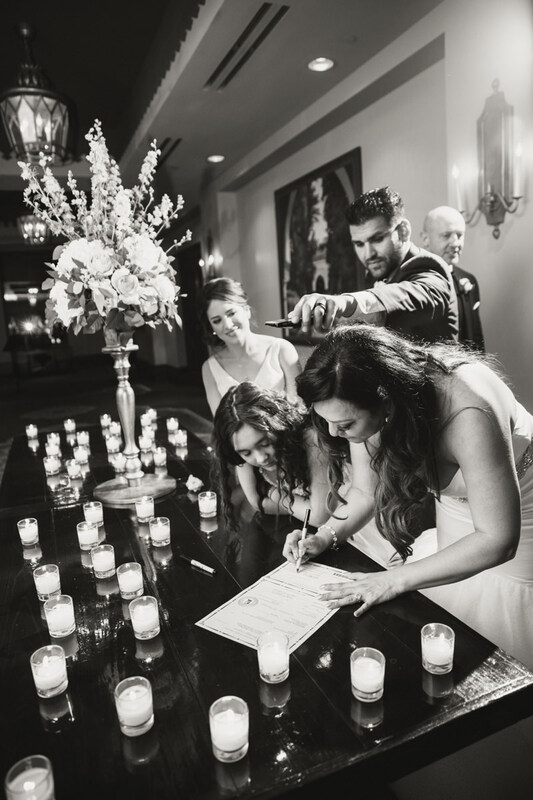 Her artistic touch and keen eye helped to realize the vision Jessica and Jon had for their wedding. Please enjoy these images of the wedding details from Jessica and Jon’s Omni Montelucia Resort and Spa wedding. And, make sure to check back. I will be sharing more images from this event in a future post. When it comes to wedding photography, two things I am passionate about are moments and details. A wedding is made up of memorable moments. While family portraits and group portraits are important, it’s the candid moments that are often the best images. Moments not only capture the essence of the event, but they can transport you back to that night. 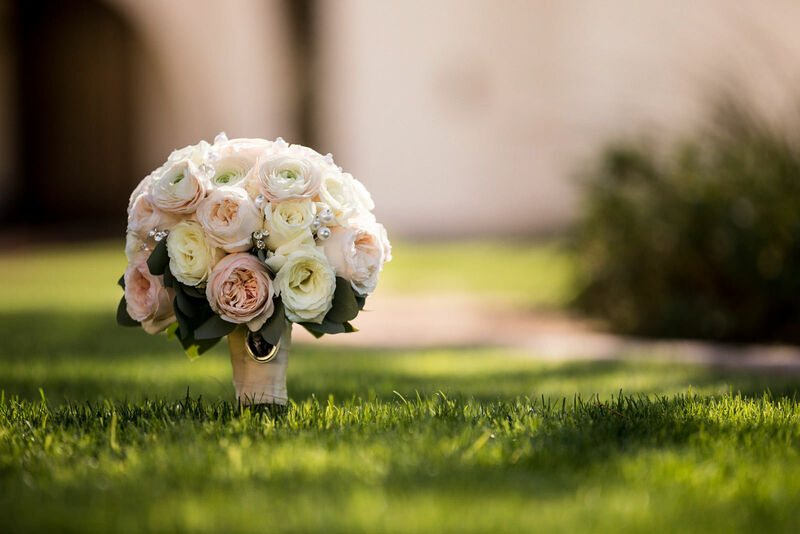 I shared some of my favorite wedding details from Jessica and Jon’s Scottsdale wedding at the Omni Montelucia Resort and Spa in a previous post, here. In this post, I want to showcase some of their wedding moments. Moments matter in wedding photography. Here is a selection from Jon and Jessica’s celebration. Images of moments in wedding photography have the ability to capture the emotion and the feel of the event. They are the images that have the power to take you back to that moment. For many brides and grooms, these images also offer a glimpse into a part of the event they didn’t get to see. The raucous laughter during the groomsmen portraits. A mischievous grin from a flower girl or ring bearer. And, of course, the real, beautiful moments during the ceremony. These candid, documentary style moments capture so much of the energy and emotion of the day. Often, the first time a couple can truly appreciate the moment they became husband and wife is when they see the end result of their wedding photography. With Jon and Jessica’s wedding, so many of these moments are filled with joy. I love how Jessica’s whole face lights up in laughter during one of the speeches. Other moments are quiet and intimate, shared by the bride and groom. Wedding moments truly showcase people and emotions. I find I create a lot of the wedding moments in black and white, because the color distracts from the expression and the emotion of the moment. My goal is always the same: to capture the energy, relationships and emotions without calling too much attention to my presence. Enjoy these wedding moments from Jon and Jessica’s beautiful wedding. An engagement portrait session is more than just taking pictures. It’s about making art. An engagement session is about connection; capturing the connection a couple shares and building the connection between client and photographer. It’s about understanding who they are as people and connecting with them as individuals. And, of course, it’s about making beautiful images. That’s exactly what I did with Israel and Brittany. I met up with them in the Phoenix, Arizona desert to connect with them and capture their engagement portraits. Israel and Brittany are a stunning couple. The two of them were so at ease with each other as we wandered through the desert, chasing the light and enjoying one another’s company. I collaborated them in the same way I might collaborate with a model or an art director. Rather than trying to coax poses out of them, the day evolved organically. We let light and conversation guide us around the desert just outside of Phoenix. We captured moments filled with laughter, quiet intimacy, and love. I always aspire to capture real moments, and we did it in every image. The beauty of the Arizona desert is so unique. Within one session, we experienced a wide range of temperatures and backdrops. In the afternoon, the sun beat down warm and golden. When it began to set, both the light and the temperatures cooled, changing the mood and the look of the images. Together, we looked for interesting backdrops and landscapes, hiking high up into the hills for the best vantage points. The desert has so many different personalities that kept the three of us constantly inspired. I really enjoyed connecting with these two. The conversation flowed easily and we had a great time throughout the session. As we spent more time together, I got to see more of who Brittany and Israel are, and how they interact. They’re a very loving couple, effortlessly connecting in pictures even when they weren’t touching. There’s energy between the two of them and it was easy to document. They’re very much in love. Israel is smitten with Brittany. Natural, easy intimacy like this makes for gorgeous photographs. I hope you enjoy these portraits. It was a true pleasure collaborating with this couple. An engagement portrait is an experience and a chance to get to know your photographer and for him to get to know you. Jared Platt takes that to another level and makes an engagement portrait an opportunity for the bride and groom and the photographer to create something special together. It is a collaborative effort with lighting and landscape and love. Reagan and Rusty have been dating for a while. Reagan is my niece, so I have seen Rusty at family dinners for a long time. When they asked if I would shoot their engagement portraits, they originally just wanted to do something in Phoenix. But, it was August. August in Phoenix averages 120 degrees. Not good. When thinking about engagement photography sessions, people don’t always think outside of the box. One of the greatest things about Arizona is that within two hours you can be in an entirely different climate. So that’s exactly what we did. Reagan, Rusty and I packed up and went an hour and a half north of Phoenix to Payson. It was still warm, I couldn’t do much about it being August, but nothing over 90. Fortunately, I do a lot of location scouting. I have locations logged in China, Budapest, London, Iceland, and a hundred other locations across the world. But, when it comes to Arizona, I have thousands. So, I took them to a great spot with tree cover all day long. I also brought my Profoto B1 and B2 along to make the light absolutely perfect. Engagement portraits are best taken in the cool hights of the forests of Northern Arizona, this is one of my favorite spots, just north of Payson, AZ. The light tree cover is not this dark, but with a little extra light, I can remove the natural ambient light and then fill in exactly what I want, giving the image a more dramatic feel. The lush grass and little spots of sunshine filtering through the trees and onto the grass makes for a perfect backdrop. Lighting is critical on this image to make sure my lights all appear to be coming from the sun so it doesn’t appear to be a flash photo. Obviously, on-camera doesn’t work. So, the flash is off to the left of the camera to follow the natural direction of the sunlight. At the end of the photo shoot, Rusty was skipping rocks like a little kid. He and I finally coaxed Reagan into going into the water. She kept feeling crawdads crawling around her feet, so this was quite a challenging shot for her. But, in the end, I love the drips of water coming off her feet and the reflections coming toward the camera. Without the right lighting, the water droplets would have melded with the background too much. The drips would not show up and neither would the reflections (not that much anyway). You can see in the final shot where that light was that was separating them out. Outside or inside the Profoto light is a critical part or my photography. Rusty helped me test the light by putting his head IN it! Good job, Rusty. He won’t be my assistant anytime soon. I photographed Brittany and Tim’s wedding at The Boojum Tree in Phoenix, Arizona. The wedding was packed full of beautiful ideas, tender moments and wonderful people. This first photo was one of my favorite details in the wedding. Later, during the ceremony, the bride and groom will braid and tie the three cords, signifying their partnership with Christ in their union. I thought it was beautifully done. The dress (Tara Keely by Lazaro from Destiny’s Bridal) was absolutely beautiful. The bride had the sleeves added by Destiny’s and as you will see later, it was the perfect thing to do, and so well done. The entire wedding party was wearing little homages to Star Wars and it all starts with the bride’s R2D2 heels. The grooms cufflinks quoted the interchange between Han Solo and Princess Leah just before the empire puts Han into carbon freezing. I love photos through reflections in glass and of course the moment was a perfect one. The first look is always a tender moment. It is such a wonderful way for the bride and groom to see each other for the first time. The traditional “don’t see the bride before the ceremony” is a fine way to do things as well, but I think that there is far more tenderness in the first look. Tim and Brittany took a little walk into the green house at the Boojum Tree for a little one on one time. With me shooting from a distance. Brittany made her own flowers out of cloth and buttons. They were quite impressive and I am told, they took a very long time to make. But they will also last a lot longer! There are the Star Wars Storm Trooper socks. And who can argue with the fashionable and COMFORTABLE shoes. That is a bride who truly cares about her bride’s maids. The groomsmen were all a bunch of nuts and very happy with their hosiery as well. It’s all about the flowers and the dress. Brittany couldn’t have found a better dress. Our portrait session consisted the couple of myself and my assistant (with a Profoto B1 off camera light). We spent about twenty minutes making their official portraits, but the moments between them are the absolute best. The Boojum Tree is full of perfect backdrops and locations. Everywhere you turn is another opportunity for a great photograph. It is a full 360 degree visual feast, which is great because that means you will always be able to find the perfect lighting condition. Some great open shade and the addition of one light is all it took. Oh, and of course the beautiful couple. I absolutely love this portrait of Brittany. She shows off the dress perfectly. Tim is great in front of the camera, it was such a great experience photographing him. Many times, the groom is not all that excited about portraits and photos, but Tim loves the camera and it loves him. While we were take the couple’s portraits, I spun around to find a number of the bride’s maids watching from the gazebo. I asked the rest to join them to get this shot. Seriously cute kids were all over this wedding, all of them dressed to the nines. I loved the flower girls’ dresses. Full of texture! This is one of my favorite shots from the day. During the ceremony, the bride and groom will be reading love notes to one another, so the bride holds hers in her hands. The “kiss me” detail on her nail is perfect. This was another great detail. All down the isle were these texture rich collages with scriptures. I thought it was meaningful and beautiful. Here comes the ring. Notice the ear piece in the protective detail. The bride’s father lead her to the beginning of the isle and turned to her to read a special note to her before taking her the rest of the way down the isle to her groom. I loved this idea, it was a very tender moment between a father and daughter. When the bride and groom read their love notes to each other, it was just to each other, no mics. They were not speaking for the benefit of the crowd. They were speaking only to one another. That is the kind of tenderness and intimacy that makes a wedding great. The braiding and tying of the three cords was a great idea, but I especially liked the images I was able to capture during the process. Both the bride and groom are so expressive. It just makes it fun to photograph them. I could wait patiently, knowing that at one point they would both give me beautiful expressions that were full of life. How often do you see the Groom pick up his bride and carry her down the isle after the ceremony? So perfect! The tables were set in the green house, but the Tim and Brittany were the first to see the room. During the cocktail hour, we shot all the family portraits and a few others, like this cute little shot of the flower girls and the bride. It wasn’t visible to the crowd at the wedding, but the little boy in the wagon was carrying the safe to transport the rings. Another one of my absolute favorites. That veil was made for her and not by a dress shop. Her mother-in-law made that veil. So delicate. The battle at the cake table was intense! Tim and Brittany are too fun! Tim was a bartender at one time, so I thought this shot would be an appropriate image. With minutes to the end, the bride sneaks away to pack up her things for the get away! So much energy, expression and love. It is always my pleasure to be a part of every wedding I photograph. Brittany and Tim, your wedding was an absolute joy as are you both. I wish you both the best of everything as you head off into the unknown!